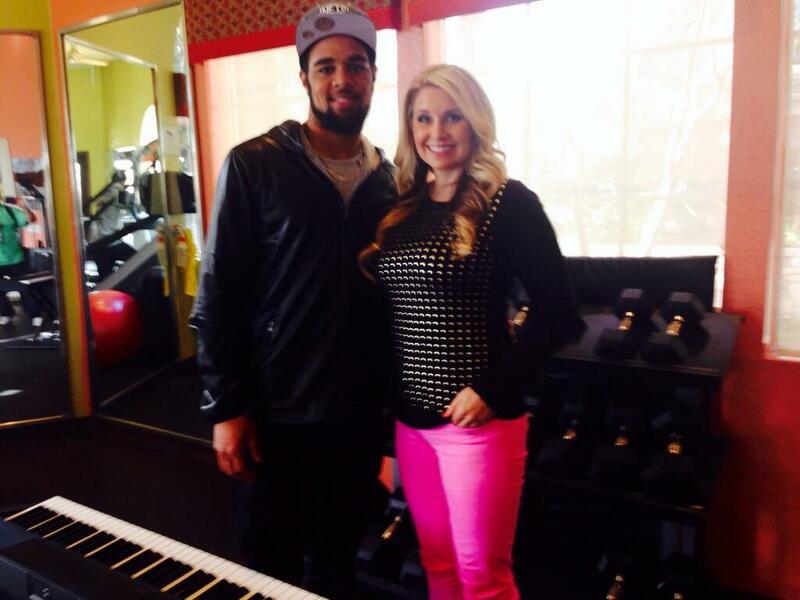 The musical side of Keenan Allen. | shenANNIEgans! The musical side of Keenan Allen. Keenan Allen called his mom during training camp and told her he wanted to come home. He told his mom he wanted out of the league. And so Allen worked and waited. He prayed. He worked and waited and prayed. And early in the season, his patience paid off. He got the opportunity in Week Two and never looked back. Now, Allen leads all rookies in receptions, receiving yards and receiving touchdowns and is on his way to 1,000 yards on the season. He’s been voted Rookie of the Week three times. Allen said it was the biggest lesson he learned in his first year in the NFL, and it’s a lesson he is entirely grateful for as the honor of Rookie of the YEAR looks more and more like a reality for the Cal product with each passing week. We filmed in a weight room because, well … It’s a long story. It’s been fun getting to know Keenan, who is multifaceted and full of raw talent. I had a chance to sit down with him to see (and hear) his musical side. Impressive! We chatted about his love for playing the piano, his run for Rookie of the Year and his early struggles during training camp (including the timely conversation with his mom). And here is more of Allen playing and fooling around with the piano while we got our cameras set up. As you can see, Allen has talent not only on the football field, but also behind a keyboard. I’m not certain the place you’re getting your info, however great topic. I must spend a while finding out more or understanding more. Thanks for fantastic information I was searching for this information for my mission.